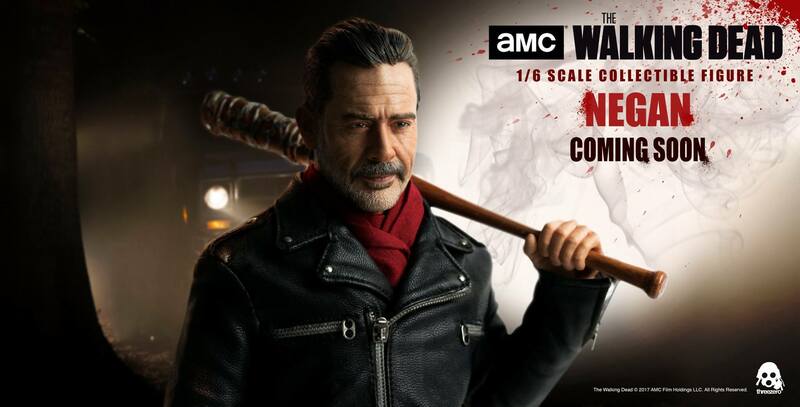 Joining the 1/6 scale The Walking Dead figure line is Negan, the leader of the Saviors and current villain on the TV Series. In the show, Negan is portrayed by the great Jeffery Dean Morgan. Negan he wields his deadly barbed wire covered baseball bat, that he calls Lucille, to met out punishment to those who cross his path. In the show’s reveal of Negan, fan favorites Glenn and Abraham pay the price for Rick’s attacks on the Saviors. 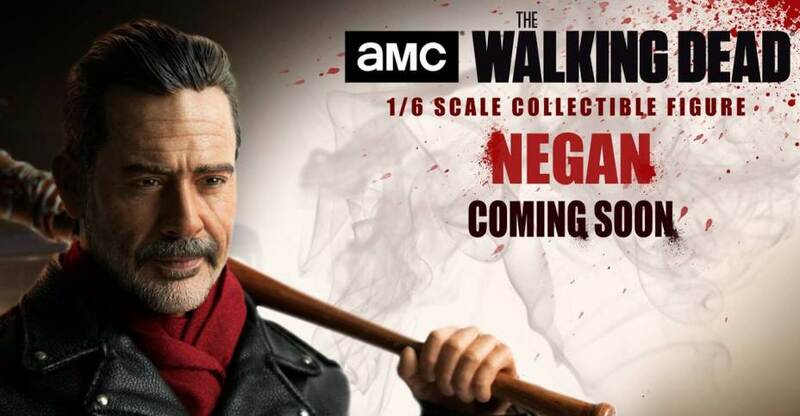 ThreeZero has released a new preview photo, announcing the upcoming Negan 1/6 Scale Figure. We’ll have more photos and details as they become available. You can check out the full preview by clicking the banner image above. Quite spot on. I'm impressed. Damn, that actually looks too good to resist and will be my only TWD figure until someone creates a decent Rick headsculpt. Hopefully he's appropriately tall. I'll definitely be on the look out for a sinister smiling Negan sculpt too because how can you have Negan without a big toothy grin?! I'm a little surprised that nobody else has commented on the sculpt quality since this figure was released. It is absolutely outstanding. 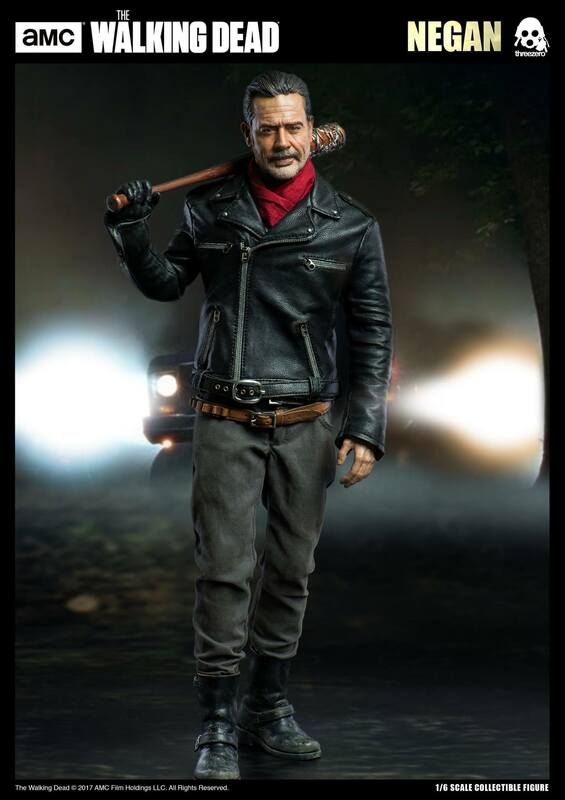 Rick was good, but this sculpt of Negan is bang on. I'm a little surprised that nobody else has commented on the sculpt quality since this figure was released. It is absolutely outstanding.